Product prices and availability are accurate as of 2019-04-25 02:30:25 BST and are subject to change. Any price and availability information displayed on http://www.amazon.com/ at the time of purchase will apply to the purchase of this product. Fix up your restroom with an American Standard toilet. This American Standard Madera ADA compliant toilet features a powerful direct-fed siphon jet action flush to prevent clogging. It has a generous 10 by 12-Inch water surface area. It has a 10 or 12-Inch rough-in for installation and a fully glazed 2-1/8-Inch trapway. 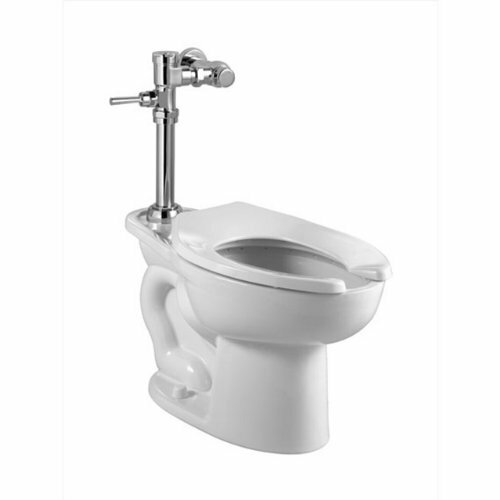 The Madera toilet is designed to save you money with a high efficiency, low consumption 1.28 gallons-per-flush. It also features a 1-1/2-Inch inlet spud. Included in this toilet is 2 bolt caps, seat is not included.